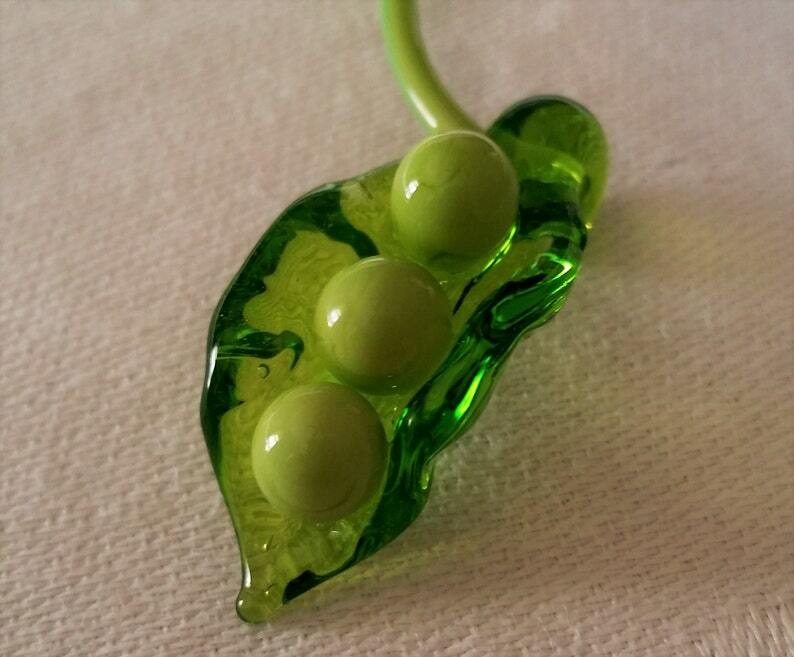 This Listing is for 1 - Glass Lampwork Bead - "Three Peas-in-a Pod" Charm ~ 3 Peas. Sizes vary slightly but are about 1"- 1.25"
All photos are STOCK Photos - Charm DOES NOT come mounted on gift card ~ photo shot only. Other quantities are available and I am always accepting "Special Orders", so please do ask! Charms can be used to wear on a cord ! Each piece is created one at a time so no two will be exactly alike. These are 'stock' photos and yours will be the same in color but each Pea Pod, as in nature will be slightly different. 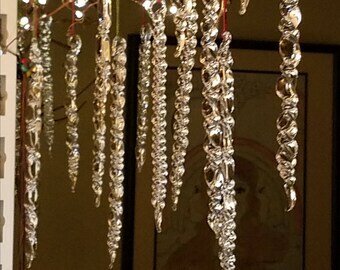 A "NiniBead" original , handmade by myself......I give a lot of my heart to each bead and creation therefore I search for fine quality (some handmade) sterling silver findings ....truly one of a kind. Each piece has been properly annealed in a digital kiln to ensure lasting durability. Then hand cleaned and individually inspected. If you wish different shipping w/ insurance please convo me prior to purchase. Excellent product, more adorable in person than the picture captures. Perfect gift for your BFF(s), your family member(s) or the people closest to you. Will be ordering another set soon. This charm of three peas in a pod is absolutely adorable. The charm is so beautifully crafted and the green color of the lampwork is so striking. I wear it suspended on a necklace and have received many compliments on it already. It is so unique! Beautiful and so realistic. Will definitely keep checking back regularly to see what you've created. Been looking for lampwork dogwood flower beads for over a year!! Thank You!